Gordon Banks, Michael Jordan and Bjorn Borg all star in the latest edition of the series. FOLLOWING NEWS THAT Jimmy Barry Murphy is set to emerge from the sporting wilderness and take over as Cork manager, we thought we’d take a look other sports personalities who launched unexpected comebacks and recall how they fared. And no, despite Sylvester Stallone’s heroic, grandfatherly turn as Rocky Balboa in Rocky Balboa (must have taken them weeks to think up that title), Sly narrowly misses the cut for this week’s list. Arguably the greatest goalkeeper of all time – his reputation owing at least partially to a legendary save he made in the 1970 World Cup Finals (see below) – Gordon Banks retired in 1972 after losing sight in his right eye following a car crash. However, he subsequently made an incredible comeback, joining Fort Lauderdale Strikers and becoming an ever-present in the side thereafter. While the games may not have been of particularly high quality, the fact that Banks was able to play at any level with such a handicap represents a considerable achievement. Having achieved endless success in basketball, Michael Jordan announced his shock retirement in 1993, saying that he had lost his desire to play the game. He then signed a contract with the Chicago White Sox to play baseball. However, he then made a memorable return in 1995, taking up where he left off by playing a pivotal role in the Chicago Bulls’ season, including an especially impressive performance against the Knicks. Having considered replacing a stricken Felipe Massa in 2009, the legendary driver eventually did make a comeback in 2010. However, having previously won the world championship on seven occasions, the German was always going to struggle to live up to expectations. And so it proved, as he finished the season in ninth position. The legendary American football player – who broke countless individual records during his career, including playing in every game for the Green Bay Packers between 1992 and 2008 – came back from retirement to play for the New York Jets. He initially made an impact in the side before his performances soon started to dip. He has since hinted at returning on many occasions, as this memorable parody video below demonstrates. The British rower jokingly said anyone who saw him in a rowing boat again had permission to shot him following his Olympic Gold Medal win in the 1996 Olympics. Nonetheless, he returned for the 2000 Games, miraculously winning yet another gold medal – his fifth in total. 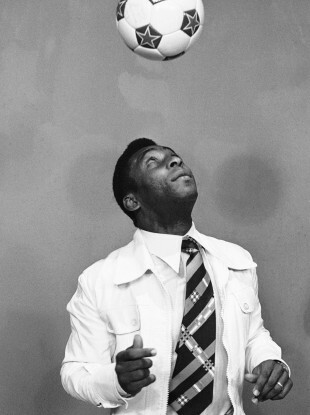 Having scored over 1,000 goals for Santos and secured a reputation as being arguably the greatest player the game of football has ever seen, Pele returned in 1975 to play for the New York Cosmos. While the deal was seen as a cynical money-spinning move by some, if any player deserved to be handsomely rewarded for his previous footballing exploits, it was Pele. Possibly the most embarrassing comeback ever, the legendary tennis player came back in 1991, having initially retired at the ludicrously young age of 26 in 1983. However, Borg failed to win a single match following his comeback, much to the chagrin of those who remembered the enigmatic Swede in his prime. Email “The Magnificent Seven: post-retirement sporting returns”. Feedback on “The Magnificent Seven: post-retirement sporting returns”.